Ceremony Enhancements Can Create Magical Moments! Our enhancements are meant to assist in making your wedding ceremony more unique, personal and meaningful for you, your family and your guests. Enhancements may be added without incurring any additional cost. If you would like to include an enhancement that is not listed, please provide us with the information, and we will be happy to include it for you. A long time ago, people believed the human soul shared characteristics with all things celestial. This prayer service designates the four points on a compass with elements representing human virtues. 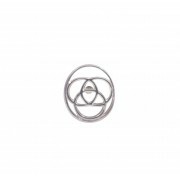 An option that may be added before the exchange of rings and related vows is the blessing of the rings. The officiant will bless the rings of the marital couple who will wear them. The breaking of the glass at the end of a wedding ceremony is a Jewish tradition. It signifies the clarity of the love the wedding couple has for each other and the shattering of their old separate lives. After the exchange of vows, the children are invited for a special unity ceremony. 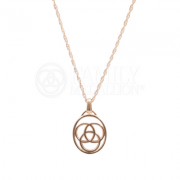 In the medallion ceremony, the child or children are presented with a special Family Medallion® symbolizing the creation of the new family. 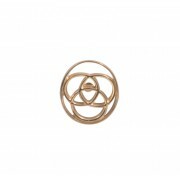 These special pieces of jewelry are available in pendants, bracelets and lapel pins. Meaningful words are exchanged between the new step parent and the child. If there are children on both sides, they may also exchange words accepting each other as brothers and sisters. 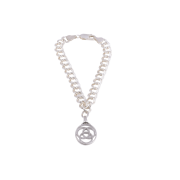 Please contact La Donna Weddings for further information and to see the special Family Medallion® jewelry. Click here to read more! This ceremony is a nice way to include children in the ceremony. Towards the end of the ceremony, the hands of the couple are loosely tied together by their child or children with a soft ribbon signifying his/her/their happiness and blessings of the marriage of their parent. During the ceremony, a special family unity candle is used to symbolize the uniting of a new family. In addition to the couple, each child uses a smaller sized candle, and together members of the family light the unity candle. 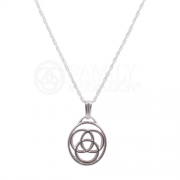 This ceremony would include the verbiage only portion of the Family Medallion® ceremony except each child would not be presented with a special gift. Children may be included. 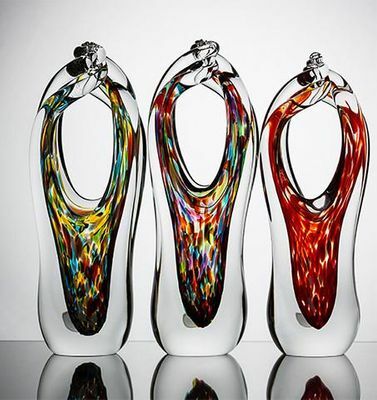 See “unity in glass™” for further description and details. In this ceremony the couple and child(ren) pour their own color of sand together in a family unity container symbolizing the blending of the family. What fun the children will have picking their own colors of sand, adding a bit of their personalities to the ceremony. A couple may want to include their guests in the ceremony so that they have an opportunity to experience the same feeling of love as the couple being united in marriage. Guests repeat words of affirmation simultaneously with the couple. This can be done silently or out loud. Handfasting is an ancient European ceremony of betrothal or wedding that dates back to pre-Medieval times and usually involves the tying or binding of the hands of the wedding couple with a cord or ribbon. A meaningful script is provided for this ceremony. This is a three to five minute ceremony in which the officiant uses the phrasing, “These are the hands that….” to symbolize what the couple’s hands represent to each other as they work together to build their future. There are many different versions of this ritual which involves the couple jumping over a broom. Essentially, the jumping of the broom is an African American tradition and is a symbol of sweeping away of the old and welcoming the new, or a symbol of a new beginning. This enhancement would follow the pronouncement. The vessel and the rose are symbols for God as Creator and Sustainer of Life and are held and exchanged by the wedding couple. Appropriate scriptures are included during this special ceremony in your wedding. This is a part of the ceremony where family and friends would participate. Each designated person comes up and places a flower in a vase creating a ‘garden of love’. 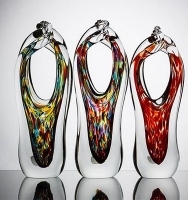 Special vases are available and may be personalized with the name(s) of your loved one(s). Check with La Donna Weddings for further details. A special candle may be purchased with your loved one(s) name(s) on it or any candle of your choice may be used. Generally at the beginning of the ceremony, the wedding couple lights the candle and it glows throughout the ceremony, symbolizing the spiritual presence of your loved one(s). The candle may then be relocated to your reception ballroom. This is a way for a couple to honor a deceased loved one or someone that is unable to attend. You may discuss this with your officiant to determine the most meaningful way for this service to be included. A short reading or blessing is specially worded to honor your loved one(s). Names may be included, if desired. Flower vases and memorial candles may be used in a ceremony to honor and remember your loved one(s). A brief reading is done and then the couple present each mother with a small gift. Roses (or any flowers) may be presented to the families, generally the mothers, after a short reading. Some couples do the presentation only at the end of the ceremony as they go back up the aisle. This is a ceremony using roses to symbolize love. Many couples who have chosen this have described it as an extremely beautiful and moving inclusion in their ceremony. 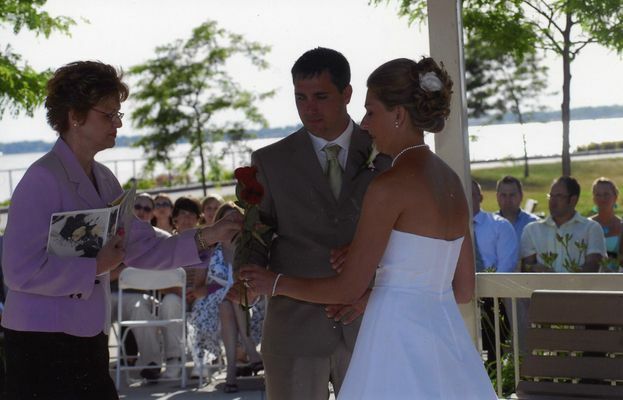 At the appropriate moment roses are handed to the couple, they exchange the roses and the officiant explains the significance of this ceremonial moment. This is a Japanese tradition called San San Kudo, or the way of 3, 3, 9, nine meaning triple happiness. Because odd numbers cannot be divided by 2, they’re considered very lucky, so 3 sips from 3 shared cups of sake make an exceptionally lucky number. A third person is instrumental in this meaningful ceremony to pour the sake. Click to read more about this in Donna Schonhoff’s interview with Wedding Planning Magazine! Instead of the ‘giving away of the bride’, today parents (or whomever escorts the bride down the aisle) express their support of the couple being married at the beginning of the ceremony. This is the most common ritual performed at weddings. During the ceremony, the couple will take two small taper candles and light a main unity candle together to symbolize the uniting of the two individuals as one in marriage. 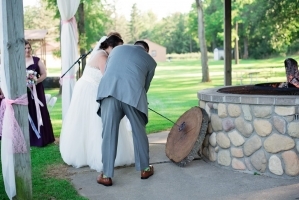 There are many different readings and ways of including this in a wedding ceremony. The Unity Cross® is a multi-piece sculpture that is assembled by the couple during the wedding ceremony, representing two becoming one. The two cross components are locked together by three pegs that represent the Father, Son, and Holy Spirit. This unique and beautiful sculpture can then be displayed in their home as a lasting reminder of the covenant they made on their wedding day. This is a green trend. The peace lily (or tree) ceremony generally requires four people (although it may be done by just the wedding couple). Using four people would include the couple and either the father or mother of each. One (usually a parent) adds some soil (representing the foundation for the marriage), one adds the lily bulb (representing the new relationship of marriage), one (usually the other parent) adds more dirt (representing support) and the last one adds water (symbolizing love that makes the union bloom). The planting symbolizes the roots of the new marriage relationship and continued growth of their love. They each play a part in the planting of a peace lily (or tree) that will then be displayed in the couple’s home and continue to grow, just as the new relationship of marriage will continue to grow. Click to read more about this in Donna Schonhoff’s interview with Wedding Planning Magazine! The sand ceremony can be a beautiful and meaningful addition to a wedding ceremony and works especially well with outdoor settings or weddings by the water. This involves the couple pouring grains of sand (usually two coordinating, contrasting colors) together from individual cylinders into one cylinder creating a beautiful piece of art that can be a meaningful keepsake for years to come. 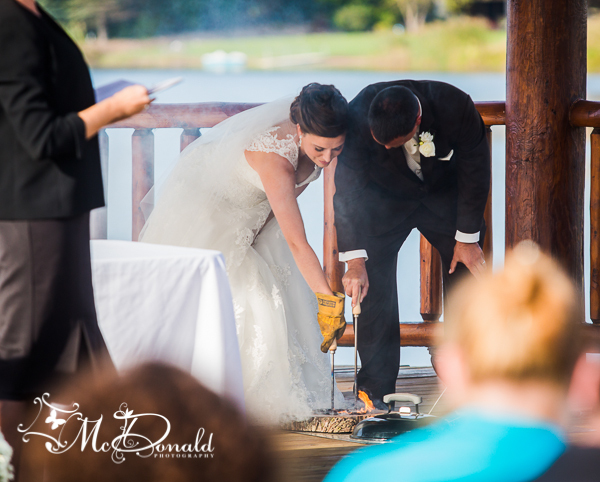 A couple may have saved some sand from a special vacation, and utilize that sand during their ceremony. Parents may add sand first to symbolize their love and support, and children may also be included by adding more colors signifying a family unity. As two different colors of water are combined, creating a third, the officiant explains what each color of water represents and then what the blended color represents and bestows a blessing upon the couple. Unity sand sets may be used for this ceremony. Wine has been thought of as the symbol of life. This is a special ceremony that may be included to symbolize two people coming together as they form their bond of marriage. There are several passages to choose from that the officiant can read while the wedding couple each takes a sip of wine (or water). To represent a couple’s love for each other, the intertwining of their lives, and the fire that burns within their souls for each other, couples may include a wood branding ceremony in their wedding. A custom branding iron is made, put in a burning fire during the ceremony, and at the appropriate time it is taken and used to burn the custom brand on a piece of wood. This piece of wood can then be placed, if chosen, in the reception venue and the guests add their blessings and good wishes for the couple. 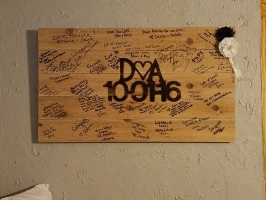 A lasting memory is created that can be displayed in the home of the newlyweds. There is an Eastern tradition saying that when you have love, even plain water is sweet. 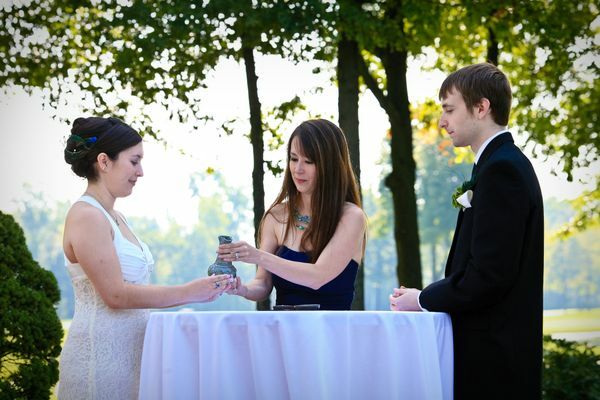 The wedding couple takes a drink of water from the same glass after receiving a blessing from the officiant. Use one of your toasting flutes or a special glass of your choosing. Anything You May Dream Of! Do you have your own wedding idea or tradition that you would like to include in your ceremony? We will work with you to create a very special moment for you. We aim to make your ceremony the most magical and memorable event of your lives.